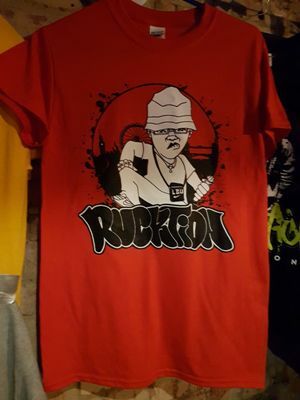 New Rucktion "bagman" design, black and white print on red shirts. Available in M, L, XL (S and XXL sold out). Please mention required size with your payment.